This is DAY FIFTY of the daily devotional. 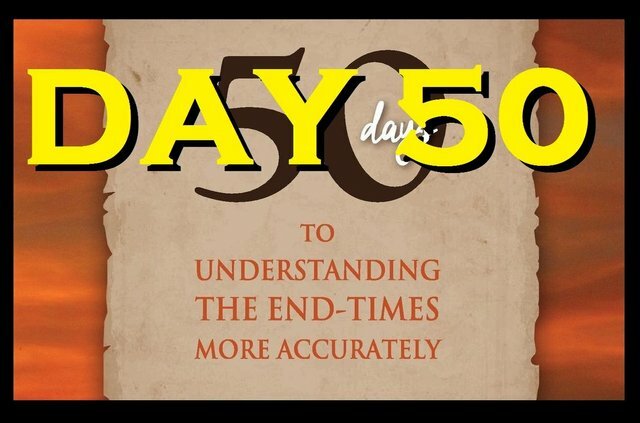 This is the 50th day of this 50 day end-time devotional that I wrote. I hope to have it available in a paperback format in the near future, so please stay tuned for that. For those of you who have followed along, I hope that this has blessed you! Thank you for joining us! As we examine the events that are to come, we may be tempted to be fearful and worried. Still, we are often commanded by God not to fear. He has “told you before” (Matthew 24:25) so that you may be prepared, and this preparation should occur in a few different areas of your life. Yes, I realize that I have repeated my message, but so did God. Neither of us wants you to miss this point. Let’s look at what is coming and properly prepare. The most important step of preparation is salvation. Hopefully you have already been born again, but if not, you need to know and believe the following. You are a sinner We all are Even telling one lie or stealing one thing makes you guilty; in the same way that murdering only one person makes you a murderer. What you have earned for your sin is punishment, and that punishment is death; both the physical death of your body and the spiritual death of soul in hell. Despite your sin and guilt, God still wants to forgive you. However, because He loves you, He will not force you. He only offers the forgiveness; you have to choose to receive it. Since we have earned death for our sin, in order to forgive us God needed a way to make us “not guilty”, for God “will by no means clear the guilty” (Exodus 34:7). In order to make you sin-free and take away your guilt so He could forgive you, someone had to die in your place. Unfortunately, all men are sinners, with their own sins to pay for, so we are helpless on our own. However, God took on flesh as Jesus Christ, and lived a sin-free life. God, who cannot die, took on human flesh, which otherwise would sin, and provided in Himself the Savior. If we will repent and trust in the death, burial, and resurrection of Jesus Christ as the only payment for our sins, then He will be our Lord, and we can be forgiven. Once we are born again by trusting in Him, we have accomplished the most important thing we could ever accomplish in this life. Once we are truly heading to Heaven upon our death, the only thing slowing down our arrival is our life. Any fear of death can now vanish. 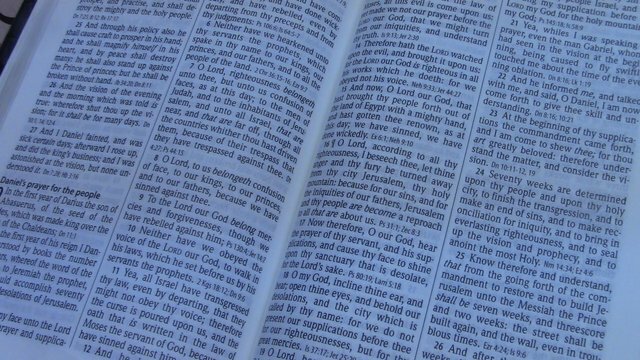 Concerning the persecution and potential death at the hands of the enemy that we will be facing here as the last days come upon us, we can concentrate on meditating on the following verses, and perhaps even be memorizing them. Technically, for believers, death is simply the last door that we must walk through before entering into paradise, where “God shall wipe away all tears from their eyes; and there shall be no more death, neither sorrow, nor crying, neither shall there be any more pain: for the former things are passed away” (Revelation 21:4). I don’t know about you, but that sounds awesome to me! Though life here is beautiful and enjoyable, it is still forever marred by sin. The effects of sin and the curse will not exist in Heaven, and it only takes death to get us there. Therefore, we need not to fear men who can only destroy our body. The body will cease to exist anyway. As we reflect on the coming days and the troublsome times ahead, we can make some decisions now that may help us live a little longer here and be used of the Lord a little more. After all, now is the only chance that we have to invite people to join us in heaven, so a few extra years, or months, or even days on earth could certainly be beneficial. We know that various plagues and famines are still to come, and then the “mark of the beast” as well, when “no man might buy or sell, save he that had the mark” (Revelation 13:17). Since we are also told that “If any man worship the beast and his image, and receive his mark in his forehead, or in his hand, The same shall drink of the wine of the wrath of God” (Revelation 14:9b-10a), we know that we should not be receiving such a mark. It is also worth contemplating that if God’s wrath upon the entire earth had already started at this point, how could only those that “worship the beast and his image, and receive his mark” be subjected to “the wrath of God”? I believe that those with the mark will not be raptured, and hence have to enter the “Day of the Lord”, which begins after the exaltation of the Antichrist. If people are still worshiping “the beast”, obviously another besides the Lord is still being exalted. If we are here for such times, how could we obtain our daily nourishment when all transactions are delegated by a mark that we cannot and must not receive? The simplest (and yet most complex) method for accomplishing this is Matthew 6:33, “But seek ye first the kingdom of God, and his righteousness; and all these things shall be added unto you.” This is God’s prescribed method for answering the questions of, “What shall we eat? or, What shall we drink? or, Wherewithal shall we be clothed?” (Matthew 6:31). If we seek Him first and focus on the spiritual, then He will take care of the physical. If we can believe that God once fed the entire nation of Israel with manna and used ravens to bring bread for Elijah, then we should be willing to believe that He can likewise provide for us, when we seek Him first. Also, since He had forewarned us, we can foresee the evil ahead, and prepare for it. 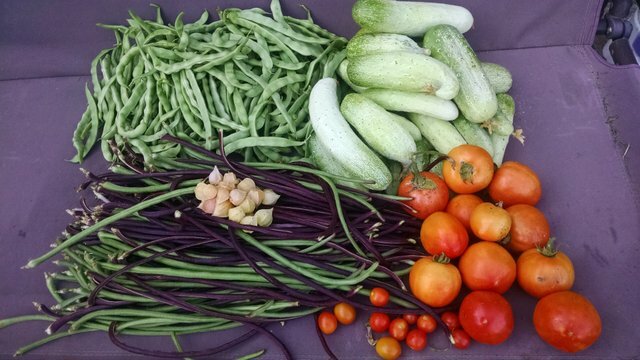 If a person has their own garden, orchard, or farm animals, one’s need to buy food will be decreased. Plants produce fruit and vegetables which contain seeds. These seeds can be replanted and grown into new plants which will produce more fruits and vegetables. Animals can mate and produce more animals, which can either grow up and do likewise, or be eaten. I know that this sounds very simple, but it is true nonetheless. If we are to prepare for the days ahead, we may want to buy a water filter and some emergency food rations. I would recommend getting out of any debt that you have incurred, and finding a way to own some land. Without a patch of the earth to grow food on or raise animals, your options will be more limited. In the end, no matter what, we will all end up dead. Some will pass peacefully and painlessly, while others will die horrible deaths, and those who are still alive during the reign of the Antichrist may have to suffer more than some others. Believers will be welcomed into paradise by the Lord while those who reject Jesus will perish eternally. Therefore, our own salvation and the salvation of others are to be the primary focus, for that is the only thing that will last. If anyone is really interested, I did post the entire volume through an alt account over a year ago. I did so as an experiment to see how hard it would be for a new user to get noticed on steemit, so I didn't let anyone know that I was doing it. 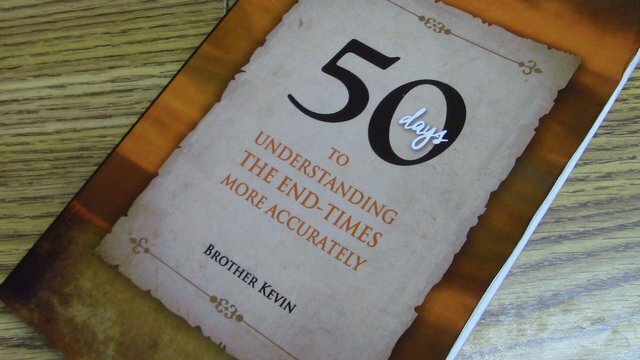 You can click here to a post that has links to the entire 50 days of this devotional if you really want to read ahead. That information has always been available there since I first posted it. It is not the purpose of this series to just copy all of my previous work, but instead to transform it into some new outlets by releasing it in an audio and video format, to broaden the reach that this work has. Again, though I will certainly never claim to know it all, I do believe that many are being lead astray by some popular beliefs. I hope that this project will be able to help many others understand the end-times more accurately. Thanks! Just in case you are new to this series and wanted to check out the previous audio or videos, here are links to the posts from each day of this series. DAY 2 - "THE TRIBULATION"
DAY 17 - ANOTHER THIEF? DAY 31 - "SEAL JUDGMENTS"
Also - A special thanks to @allforthegood for helping design my cover image! Great article brother. I’d like to go back and read all 50. Keep up the good work. This hit me really hard, that is Why i always try to be who Hid want me to be and try very hard to desist from an evil thought or act. Thank you for sharing this message and finally, this is the 50th chapter, should we be expecting more of this soon or homestead steeming for now papa? I have being following your 50 days adventures on end time, it being awesome journey and you have put a lot of work together to bring about this educative passages. Hope we see more like this, maybe 1000 days .... my regards to little pepper. I assure you I have never seen snow in my life time yet! But this is amazing! I don't know how it feels, but I think it made a wonderful nature artwork. Outstanding photography of this beautiful nature scenery. Thank you very much for sharing it! Can we get a link to your comparison post? The one where you admit the @narrowminded account was yours and your conclusions? I just tried to scroll back a year on your blog, but for some reason my phone wouldn't go back more than 4 months. I like to use this search engine for sorting through my previous posts... even I need help doing that. 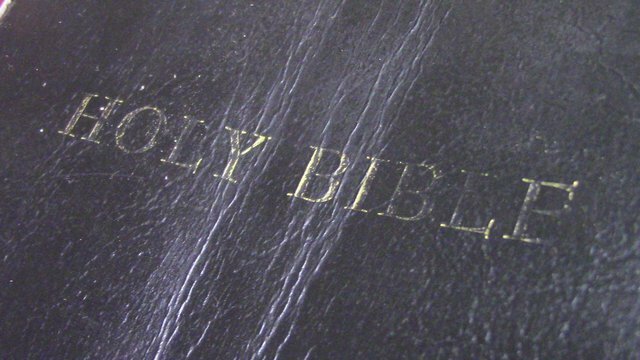 I really enjoy studying the Bible, its the gift that keeps giving! So cool people like you are educating and spreading the Word. It is appointed unto man once to die, after this judgment. The above quote taken from the Hebrews gives us something to ponder on, that we should always seek and strive for salvation, since we know not the day or time in which Jesus Christ will come. It's true, that what shall it profit a man if he gains the world and lose his soul and thank you very much for this reminder that the scriptures give that we should fear not those who can destroy only the body, but we should fear God who can destroy both body and soul in hell. I'm glad having followed you till the end, even though I didn't start from the beginning and you've been a source of inspiration to spread the news of Christ. Thank you for Spreading the Good News of Christ. So deep! Thanks so much for your consistency with this series... It's so very worth of emulation. Thank you so much for sharing, sir. Please tell me where I can found a complete of lectures on youtube which only guides from Bible. I am a Muslim but want to study Biblical prophecies and compare them with Quran. Thank you so much. Gonna watch your videos and subscribed. Thank you for this post! I will read all the links. It is of great help and very nourishing to our souls. Thanks K God I was able to follow this from the beginning to the end. I appreciate you @papa-pepper for taking your time to put this together. I pray that God will console Tonie to widen your knowledge for impacting in the lives of others spiritually. one love!!! All your posts were on point.. Thanks @papa-pepper for sharing. I have enjoyed reading all 50 days! Thanks for being bold enough to share your faith! Shalom to you and your family! I love spirituality and when combined with the christian faith is amazing. Well done @papa-pepper. I can see that "the end times" are not so much about a theoretical eschatology as much as living our daily lives with the love of Jesus. I see this love in you. There is a lot more I can learn from you and your posts and I will follow along with your story. I'm thankful to know you through posts like this. Nice that someone is watching these signs carefully. I commend your dedication to this mission. Obviously it took a great deal of passion and faith to publish all of this. And it seems that you are very connected. I am thoroughly enjoying this series! I had actually made it all the way to lessone 20 something, and then we got sick, some crazy-busy-life stuff happened, and I hadn't continued watching. Just started over this morning, to refresh my memory. Made it to day 5 and am going to continue until I get them all this time! Please let us all know when the book becomes available for sale! Death is what you all pray for. As one who is seeing to the advancement of the kingom of the father, Could u please help me resteem some of my messages to keep the gospel spreading. The messages are really gonna bless lives. But i have no viewers as i'm new on the platform..Thanks for understanding... We'll keep spreading the gospel of christ even to the ends of the earth.